The Blues will continue to wear the famous double diamond brand, with Umbro UK providing the Club with bespoke technical kit and training wear for the men’s, ladies and Academy teams as well as for fans. Everton and Umbro share a long and successful history dating back to the 1970s. Over the last five decades Umbro has produced many classic designs for The Toffees - including one of the first kits with taping detail on the sleeves, echoed in the running diamonds around the cuffs of the 2018-19 kits. 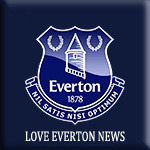 Umbro has maintained a strong track record of working with fans and consulted with thousands of Everton supporters over a 15-month period as part of the design process for the current season’s kits. Last month, the Club announced an enhanced deal with Fanatics, the global leader in licensed sports merchandise, which means the Club's Umbro kits, training wear and merchandise will be available in even more global territories, taking the Everton brand further than ever before.